This past weekend our four youngest grandchildren were here for an 'overnight' with Nana and Papa. Since there are three boys and just one girl, Elli and I often bake or do other projects while the boys are being ' just silly'. She asked me if we could 'sew' together , and of course I was delighted. We were up in my studio so I showed her my latest design and we found her special sewing supplies. We sat side by side while she continued a previous project and I was available to help her if the fibers slipped off her needle, or if things became a little tangled. Sometimes we forget how diligent small children can be when they are concentrating on learning to do something they truly enjoy. She is so proud of her work and I am so pleased that perhaps she will carry on my stitching passion. We've decided that I will make her little design into a small pillow for her bed. asked what I was doing to help ensure that future generations would continue to learn to stitch. This question really made me stop and think, as my answer at the time was that I was doing nothing. 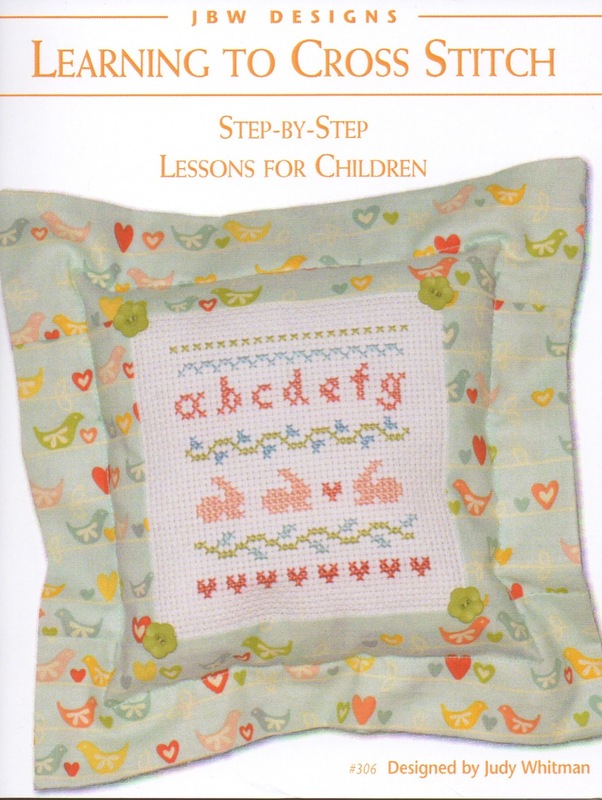 So I designed a small booklet called Learning To Cross Stitch, which is a guide to all of the beginning elements of stitching. 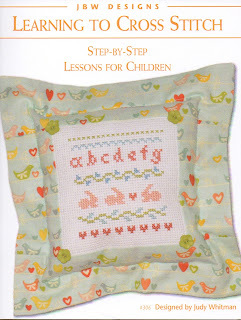 Several shops have had some very innovative ideas on how they could promote cross stitching for children. One shop in PA had a several day event that involved making aprons for American Girl dolls. One day was just an introduction, followed up with stitching borders, and then stitching the doll's or little girl's name onto the apron. 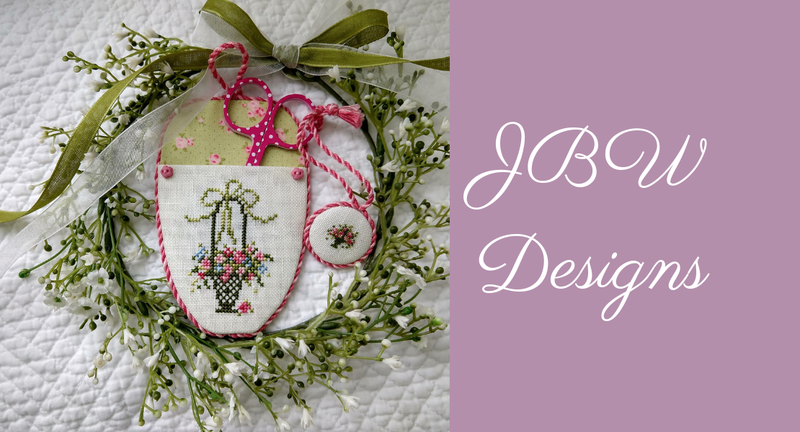 The future of cross stitch will depend upon each one of us sharing our passion with others - no matter whether they are six, twenty six or forty six years old. And we understand how it brings such a sense of peace and calmness to our very busy lives. Share your suggestions and I will post them in future JBW blogs. Thank you!